Brand8 PR News/Views | What is content marketing and why should I care? Marketing has existed, in its purest form, since the beginning of human endeavour – from the moment one person’s item or skill became desirable and they realised they could benefit from it. While mankind has come a long way over the past 10,000 years, one thing has remained – the need to exchange goods and services – although the way in which these transactions take place has evolved exponentially. No longer can purveyors of goods simply sit back and allow business to rush in – instead, these services must be advertised and marketed, and in the modern world content marketing has rapidly become one of the most effective ways of achieving this. I know what marketing is, but what exactly is content, you ask? Put simply, content is any piece of written or visual information that is directed towards an audience for a specific purpose. This audience can vary drastically in terms of demographics and behaviour, and the content itself can take a variety of forms, but content marketing, at its heart, is the provision of content with the intention of influencing an audience. I have previously written about why understanding your audience is essential to content marketing success – in short, this involves identifying current and existing clients and customers and establishing where they appear on the customer journey; Awareness, Interest, Action and Advocacy. Once these criteria have been established, the next step is to then decide which type of content is most likely to resonate with the audience. In many cases, a business will be targeting multiple demographics and so multiple content types will be required to achieve the end goal, but in principle the content itself will be disseminate through a variety of channels in order to reach the consumer. The vast majority of publishers now have an online presence through which users can consume and interact with the content provided, and the key is to target a variety of these. This ranges from websites, to social media platforms, to email newsletters, to digital displays, to traditional print publications, and while the way in which this information is digested can vary – from desktop, to smartphone, to tablet, to hard copy – it is all helping to engage the user. At least, that is the idea. Of course, reaching the audience is only one facet of content marketing – in order to gain their attention, the content must be relevant to their interests and published at a time that it is likely to reach them; one of the key purposes of amplification. Only by amplifying the content that is created is it possible to reach out to new and existing consumers, and as such it is vital to choose appropriate social channels through which to disseminate this content, although the users of each platform and the time they use it can vary greatly. Of course, reaching the audience is one thing, but holding their attention is another, and that is why the content created needs to be engaging on multiple levels. While producing something that is of interest to the user will likely ensure they read it, the content itself must not be too long or too short, needs to be presented in an aesthetically pleasing way, must be digestible and – most importantly – must leave the consumer in no doubt as to where it has come from. The key to any form of marketing is to engage users and create brand association, so that they instantly associate the message with the company providing it. There is little point in spending money, time and effort on a piece of content if the consumer is then totally aware of where it came from – this will have zero effect on awareness, let alone the other aspects of the customer journey. When all of these facets are achieved, the audience has been determined, and the content has been generated, amplified and consumed, it would be easy to sit back and think of a job well done, but the process does not end there. Only by evaluating the effectiveness of the content is it possible to gauge how, why and where it was consumed, and this is essential for generating the information required to inform future approaches. Evaluation can now be achieved through a raft of channels, but in essence it is known as content intelligence. This is something I have written about before but – in short – is about using information about user behaviour to ascertain how they have consumed content, why, where, whether they have shared it, how they came about it, and a host of other metrics that can then be used to help shape future strategies. Ultimately, any business tactic is carried out with the eventual aim of boosting profit, and how this comes about can vary significantly. 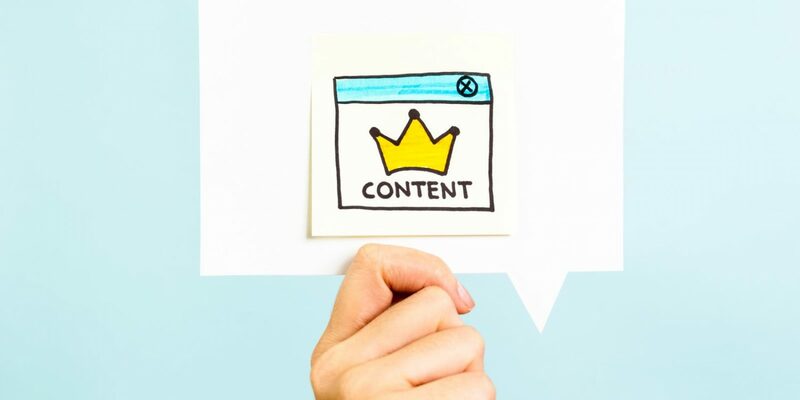 Content marketing achieves this by increasing user engagement at every part of the customer journey – from boosting awareness of a product or service, to generating interest, to encouraging action and purchase, to advocating it. Only by successfully combining every element of the content marketing process is it possible to see optimum results – something that businesses all over the world in every sector have found out to their advantage.